,Multi-Speakers, Digital Zoom, Video Desktop etc. like: Region Free , RCE Free , UOP Free , Macrovision Free. IP2Location IP-COUNTRY-REGION-CITY Database - IP2Location(tm) IP-COUNTRY-REGION-CITY is commericial lookup database that translates IP address to country, region and city. Developers use this component for projects related to web, and client applications. IP2Location IP-COUNTRY-REGION-CITY-ISP Database - IP2Location IP-COUNTRY-REGION-CITY-ISP is commercial lookup database that translates IP address to country, region, city and Internet Service Provider (ISP). Developers use this component for projects related to web, and client applications. IP2Location IP-COUNTRY-REGION-CITY-LATITUDE-LONGITUDE-ZIPCODE Database - IP2Location IP-COUNTRY-REGION-CITY-LATITUDE-LONGITUDE-ZIPCODE is commericial geolocation database that translates IP address to country, region, city, ISP, latitude, longitude and zip code. Developers use this component for multiple projects. IP2Location IP-COUNTRY-REGION-CITY-LATITUDE-LONGITUDE Database - IP2Location IP-COUNTRY-REGION-CITY-LATITUDE-LONGITUDE is commericial lookup database that translates IP address to country, region, city, ISP, latitude and longitude. Developers use this component for projects related to web, and client applications. IP2Location IP-COUNTRY-REGION-CITY-ISP-DOMAIN Database - IP2Location IP-COUNTRY-REGION-CITY-ISP-DOMAIN is commericial lookup database that translates IP address to country, region, city, Internet Service Provider (ISP) and domain name. Developers required this component for geotargeting projects. IP2Location IP-COUNTRY-REGION-CITY-LATITUDE-LONGITUDE-ISP Database - IP2Location IP-COUNTRY-REGION-CITY-LATITUDE-LONGITUDE-ISP is commericial lookup database that translates IP address to country, region, city, ISP, latitude and longitude. 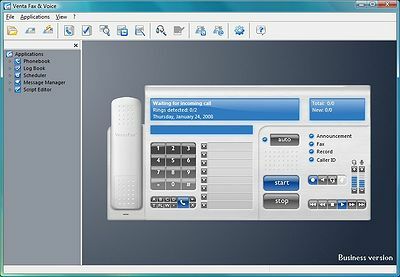 Developers use IP2Location for projects related to web and client applications. IP2Location IP-COUNTRY-REGION-CITY-LATITUDE-LONGITUDE-ISP-DOMAIN Database - IP2Location IP-COUNTRY-REGION-CITY-LATITUDE-LONGITUDE-ISP-DOMAIN is commericial lookup database that translates IP address to country, region, city, ISP, latitude, longitude and domain name. Developers use IP2Location for geolocation projects. IP2Location IP-COUNTRY-REGION-CITY-LATITUDE-LONGITUDE-ZIPCODE-ISP-DOMAIN Database - IP2Location IP-COUNTRY-REGION-CITY-LATITUDE-LONGITUDE-ZIPCODE-ISP-DOMAIN is commericial lookup database that translates IP address to country, region, city, ISP, latitude, longitude, zip code and domain name.